What's Involved in a Fibre Broadband Customer Installation? I was lucky to witness the very first customer installation of superfast fibre broadband associated with the Connecting Cambridgeshire project. The installation itself was very quick, and is captured in the video below (together with before and after speed tests). Thanks to BT Openreach and engineer Ben Williams for allowing me to take photos and video. Before visiting the customer's premises, the BT Openreach engineer started work at the conventional (non-fibre) street cabinet. The first job was to open up the cabinet and identify the appropriate copper wires running from the customer's premises. As you can see from the photo below, the cabinet contains a mass of copper wires (so-called 'copper pairs'). The cabinet contains all the copper pairs from all surrounding premises - the so-called 'D-Side', where the 'D' refers to 'Distribution'. With standard phone and ADSL/ADSL2+ services, each copper pair is connected to cables running from the street cabinet to the exchange (known as the 'E-side', where the 'E' refers to 'Exchange'). When ADSL/ADSL2+ broadband is installed for the very first time, the BT engineer has to visit the exchange to ensure that the E-side cables are physically connected to the DLSAM equipment. However, a fibre installation does not require a visit to the exchange. 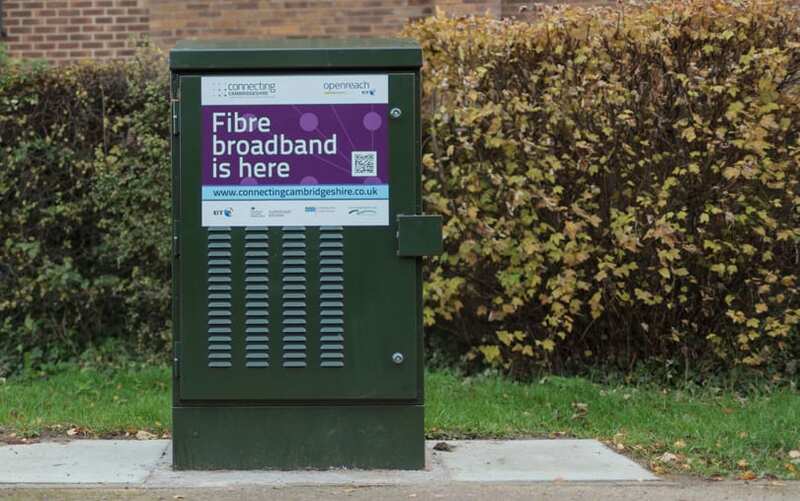 In fact, a fibre installation does not even require the fibre street cabinet (shown below), which is usually situated close to the conventional street cabinet, to be opened. 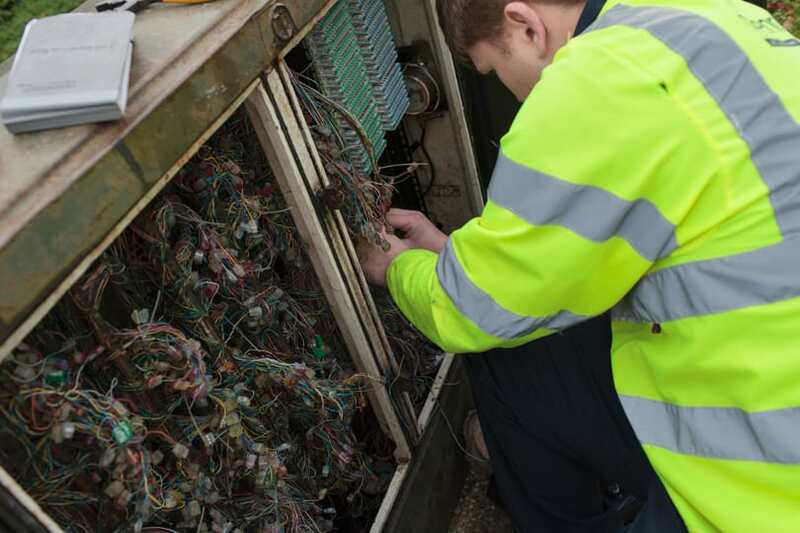 Alongside testing the connection, the Openreach engineer connected the copper pair to the green board in the conventional street cabinet and then drove to the customer's premises. The new board in the conventional street cabinet connects to the nearby fibre street cabinet (thus avoiding the need to enter the fibre cabinet). 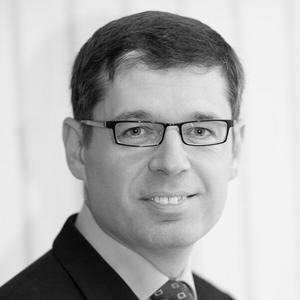 Once he arrived at the customer's premises, the Openreach engineer set to work installing a new mastersocket with VDSL2 faceplate filter and a wall-mounted BT Openreach VDSL2 modem. The customer had selected an '80/20' service from ISP Xilo, and wanted to continue to use his existing router. Different Openreach modems are currently in use (made by Huawei and ECI). An ECI VDSL2 modem was installed on this occasion, as shown in the photo below. Note that BT Infinity customers currently receive the Home Hub 5 - which incorporates a VDSL2 modem, 802.11ac WiFi and router all in the same box. 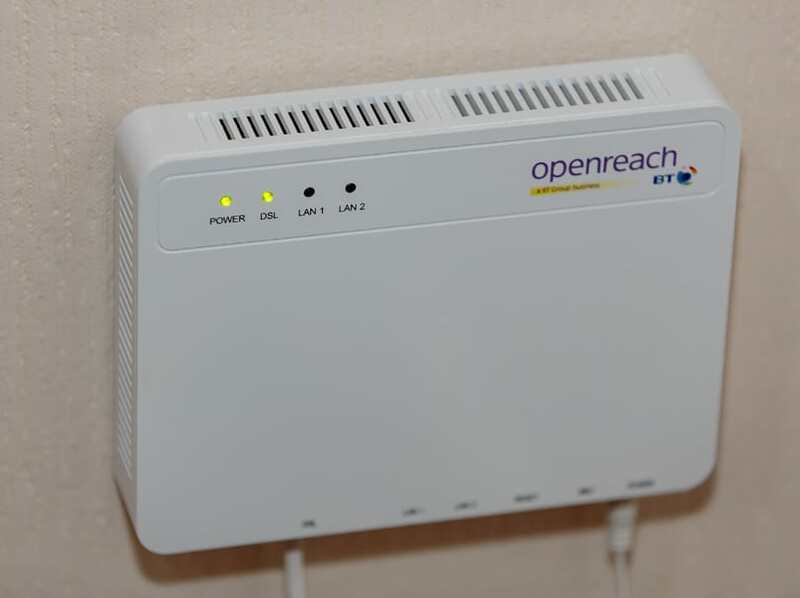 In some cases, the Home Hub 5 is directly connected to the line and in other cases a BT Openreach VDSL2 modem is installed (which is then connected to the Home Hub 5 via an Ethernet cable). The customer set up his existing Billion 7800N router to connect to the Openreach modem using PPoE, using a username provided by his ISP. The installation was complete. Before the installation, an online speed test measured the download and upload speeds for the customer's ADSL2 connection at 3104 kbps and 522 kbps, respectively. An online speed test with the fibre broadband installed revealed download and upload speeds of 74755 kbps and 18041 kbps, respectively. In other words, download speeds were 24 times faster and upload speeds were 35 times faster than the previous ADSL2 service, and the customer was delighted. As discussed in our article Chart of BT FTTC (VDSL2) speed against distance from the cabinet, fibre broadband speeds can vary according to the distance to the street cabinet. Users within about 500m of the street cabinet can typically expect download speeds in excess of 60 Mbps. Our Increase Broadband Speed Guide provides top tips for extracting the greatest speed possible from your line. Your WiFi could be the bottleneck for your broadband. Read our WiFi Optimisation Guide to see how to set up your WiFi connection to maximise speeds. Our Which Fibre Broadband page helps you decide which fibre broadband service is right for you.